On Mine Awareness Day 2019, PSALM (PROUD STUDENTS AGAINST LANDMINES AND CLUSTER BOMBS) joined the International Campaign to Ban Landmines in celebrating twenty years of Mine Ban Treaty success and the role of civil society and mine action partners in Taking Action for a Safer World. The Treaty remains one of the most successful disarmament instruments ever. With 80% of the world’s countries on board, and many other countries in de facto compliance, the Treaty has nearly eliminated the production and use of antipersonnel landmines by states, while contributing to saving people’s lives and limbs every day. This year, in preparation for the Fourth Review Conference on a Mine Free-World, we are taking action and calling on all States Not Party to join the Treaty without delay and help end the suffering caused by landmines, within a few short years. During the past month over 40 ICBL campaigns in some 32 countries around the world, including PSALM, have sent letters calling for five targeted countries: Cuba, Lebanon, Singapore, Georgia and Marshall Islands to accede to the Mine Ban Treaty. These countries have already shown support for and worked on behalf of Treaty aims and should take immediate steps to accede to the Treaty and to announce this to the global mine ban community at the conference taking place November 25-29 in Oslo, Norway. Cuba is the last country in Latin America and the Caribbean still remaining outside of the Mine Ban Treaty, it has expressed support for the humanitarian aim of the Treaty, and has participated in a number of Treaty meetings. In addition Cuba is a State Party to the Convention on Cluster Munitions, which is guided by the same humanitarian principles as the Mine Ban Treaty. Cuba’s accession to the Treaty would be of great significance – bringing all of Latin America and the Caribbean onboard of the Treaty. Georgia is one of only 32 states that still remain outside of the Treaty. Contaminated by landmines, Georgia has taken a number of important steps in the spirit of the Treaty, including clearing its land, providing assistance to victims, voting in favor of the annual UNGA resolution calling for universalization of the Treaty, as well as attending some treaty meetings. Since landmines still continue to take a toll on Georgia’s land and people. Lebanon is among the 32 states that still remain outside of the Treaty. Heavily contaminated by landmines, Lebanon has taken a number of important steps in the spirit of the Treaty, including clearing contaminated land, providing assistance to victims, attending treaty meetings and speaking in favor of accession. In addition Lebanon is a State Party to the Convention on Cluster Munitions, which is guided by the same humanitarian principles as the Mine Ban Treaty. Since landmines still continue to take a heavy toll on Lebanon’s land and people. Singapore is also among the small number of states that still remain outside of the Mine Ban Treaty. Singapore has voted in favor of the annual UNGA resolution calling for the universalization of the Treaty and has participated in a number of Treaty meetings. In addition, we understand that Singapore has ceased to produce antipersonnel mines and has a moratorium on their export. As a modern state and nation, actively supporting disarmament initiatives, Singapore’s accession would greatly contribute to regional peace and human security. The Republic of the Marshall Islands signed the Mine Ban Treaty on 4 December 1997 when it first opened for signature. As of today the Marshall Islands is the last and only remaining signatory that has not ratified the Treaty. The Marshall Islands does not stockpile antipersonnel landmines and has repeatedly voted in favor of the annual UNGA resolution calling for universalization of the Treaty. Marshall Islands should take the final step to join the Treaty and its 164 States Parties. March 1 2019 marked 20 years since the life saving Mine Ban Treaty entered into force following much hard work and the cooperative efforts of civil society, the ICRC, States and the United Nations. We celebrate the progress made, lives saved and rights ensured for landmine survivors since the treaty became international law. We also welcome renewed commitment by States and the mine ban community at large, towards a Mine Free 2025. To mark the occasion, ICBL and network partners such as PSALM/WVCBL participated in Mine Ban Treaty 20th anniversary events undertaken in Geneva and in affected countries worldwide. On 1 March, ICBL joined Treaty champions including States, #UNHumanRights, UNHCR, the UN Refugee Agency, and UNICEF in an event highlighting the impact of the lifesaving treaty and what remains to Finish the Job for a Mine Free World. UN High Commissionner for Human Rights Michelle Bachelet addressed the meeting emphasizing links between the Mine Ban Treaty and the Convention on the Rights of Persons with Disabilities and the need to ensure all landmine survivors are able to enjoy their human rights. “We still have much to do to ensure the rights of survivors on 20th anniversary of the Mine Ban Treaty”. ICBL Ambassador Margaret Arach Orech also spoke to the gathering hosted by the Norwegian Mine Ban Presidency, via a video address highlighting 20 Years of Mine Ban Treaty success and the importance of ensuring survivors’ rights now and into the future. The gathering also heard from a Colombian mine survivor who stressed the positive impact of the treaty for the country’s more than 11,000 landmine survivors. Speaking at the event, ICBL Director Hector Guerra noted “The participation of landmine survivors and members of affected communities has always been essential to the mine ban movement, from the onset in the 1990s. It still is today, and it is a central component of our advocacy work”. “We trust that the Review Conference to be held this year in Oslo will be a success, helping to guide the efforts of this community from now until 2025″, he added. At the 2014 Review Conference in Maputo, Mozambique, States committed to achieving a mine free world, to the fullest extent possible, by 2025. “THE ROAD TRAVELED” A COLLECTION OF PAINTINGS AND PHOTOGRAPHS BY PSALM: PROUD STUDENTS AGAINST LANDMINES AND CLUSTER BOMBS. You have probably heard expression “the road less traveled”. It implies a choice in life but in many places around the world the real paths and roads of life are strewn with the remnants of war and there are no choices of which paths and roads to take. People of all walks of life must travel these paths and roads to home, school, and work, to retrieve water or farm and forage for food. These paths pose dangers to all who encounter them. Contamination from landmines, cluster munitions and other explosive remnants of war terrorizes civilians in more than half of the world’s countries and are a significant cause of disability. These weapons instill fear in whole communities, deepening poverty and acting as a lethal barrier to development. Our exhibit features painted landscapes from around the world as well as some of the stories of survivors whose life paths were forever altered by their encounters with these remnants of wars and conflicts, in many cases, decades old. “The Road Traveled” hopes to educate all about the life threatening decisions people make around the world each day and the importance of banning these weapons and removing them so that all may travel without fear. Monongalia Arts Center (MAC) in Morgantown, West Virginia, USA is hosting the annual PSALM (Proud Students Against Landmines and Cluster Bombs) exhibition, “The Road Traveled,” which features paintings of landscapes from across the world. There will be an opening reception on Friday, February 8 from 5:30-7:30 PM. The landscapes featured in “The Road Traveled” will be accompanied by the stories of survivors whose life paths were forever altered by their encounters with remnants of wars and conflicts. For the past 20 years, St. Francis de Sales School’s PSALM (Proud Students Against Landmines and Cluster Bombs) chapter has generated public awareness and worked towards the elimination of landmines and cluster bombs. The Seventeenth Meeting of States Parties (17MSP) to the Mine Ban Treaty took place at the UN office in Geneva from 26 to 30 November 2018 and was presided over by Afghanistan. 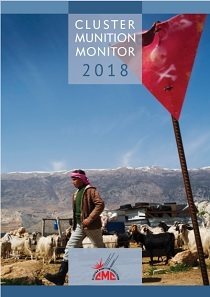 The Landmine Monitor 2018 report was launched on 20 November 2018. PSALM students have begun work on their planned exhibit of art and photographs titled, “THE ROAD TRAVELED”. Students are painting landscapes of countries the world over contaminated with landmines, cluster munitions and unexploded ordnance. Our exhibit hopes to educate all about the life threatening decisions people make each day on their way to work, school, retrieve water, forage and farm for food in places the world over and the importance of removing these weapons so that all may travel these paths and roads without fear. Students will exhibit paintings in December in connection with the recognition of the International Day of Persons with Disabilities. The exhibit will host an exhibit at the Monongalia Arts Center in February 2019. Namibia has become the 104th member state to the Convention on Cluster Munitions, following deposit of the instrument of ratification with the United Nations (UN). “Namibia’s accession to the Convention on Cluster Munitions, just two days before the opening of the Eighth Meeting of States Parties in Geneva, is yet another indication of the strength of this treaty and the global norm banning these horrific weapons,” said Cluster Munition Director, Hector Guerra. The Republic of Namibia was an early supporter of the Convention on Cluster Munitions, signing in 2008 and participating in every Meeting of States Parties since then. The country voted in favor of a key United Nations resolution on the convention in December 2017. Namibia states that it has never used, produced, transferred, or stockpiled cluster munitions and has condemned new use of cluster munitions. The Convention will enter into force for Namibia on 1 February 2019. “it is great to see universalization of the Convention moving forward in Africa,” Guerra said. Namibia’s ratification means that 42 of Africa’s 54 countries are now on board the treaty. observation of a worldwide cease-fire, 24-hour vigil for peace and nonviolence on the 21st September in every house of worship and place of spiritual practice, by all religious and spiritually based groups and individuals, and by all men, women and children who seek peace in the world.” PSALM students celebrated the day with art, music and disarmament work. the countries where landmines, cluster munitions and the remnants of wars and conflicts continue to make life difficult for all who live and work in those areas. Campaigners from country campaigns or member organizations met in Taipei to discuss mine ban campaigning in the current context within the region. The meeting was titled 2018 Asia Platform to Ban Landmines. Regarding recent positive developments between North and South Korea, the campaigners issued the following statement, which was subsequently endorsed by other campaigns in the region. Recent positive developments in the Korean Peninsula have surprised and shown the world that peace is possible. Asia campaigners to ban landmines applaud the political will to end the war in the peninsula, although much hard work remains to be done. The declaration of peace between South and North Korea will greatly contribute to the peacebuilding efforts in the region and will usher in a great confidence in non-military approaches to achieving peace. This tremendous development has shown that when people will it, it will happen. If the leaders act, it will happen. It is this same political will that the International Campaign to Ban Landmines and the Cluster Munition Coalition have shown. Countries can come together to make things happen when we collectively agree on the principles of peace and humanity we stand for. The work does not stop with a declaration of peace – the work to achieve a lasting peace has just begun. While we support the gestures and approaches towards a peaceful united Korea, we would like to highlight that it should also be free from landmines and cluster munitions. It is now time to clear the contaminated areas of all landmines and explosive remnants of war, assist victims and survivors of these weapons and commit to a ban and destruction of the stockpiles. We call on both parties to join the Mine Ban Treaty and the Convention on Cluster Munitions as an immediate peace dividend. 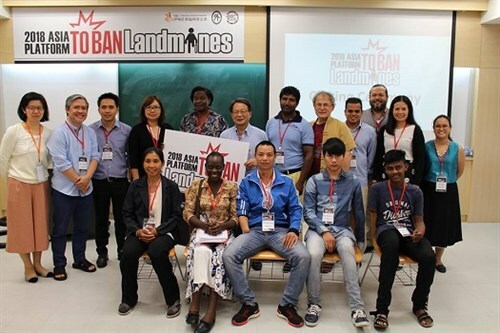 Landmine and Cluster Munition Monitor is an initiative providing research for the International Campaign to Ban Landmines (ICBL) and the Cluster Munition Coalition (CMC). It produces several research products including the annual Landmine Monitor and Cluster Munition Monitorreports, online country profile reports, as well as factsheets and maps. We are delighted to welcome Hector Guerra as the new Director of the International Campaign to Ban Landmines – Cluster Munition Coalition (ICBL-CMC). Hector brings to the ICBL-CMC a wealth of expertise on international disarmament and an ambitious vision for the future. He has contributed to the negotiation of the Arms Trade Treaty and Convention on the Prohibition of Nuclear Weapons. 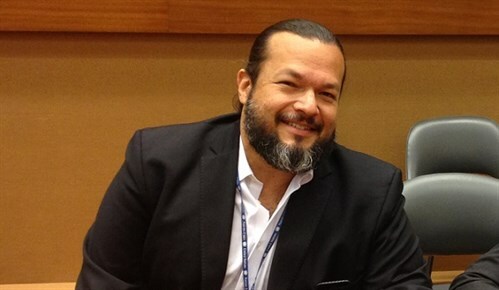 He is a co-founder of the Network for Human Security in Latin America and the Caribbean (SEHLAC), and a long-time contributor to the activities of the ICBL-CMC at the national, regional and international levels. He was a Secretary of the board of Amnesty International in Mexico and a member of the group of academic advisers to the ICRC delegation to Mexico. We look forward to working with Hector on our goal of reaching a mine-free world by 2025! Our dear sister in the work for a mine-free world, ICBL Ambassador Margaret Arach Orech has been awarded the 2018 European Union Human Rights Defenders Award in Uganda! 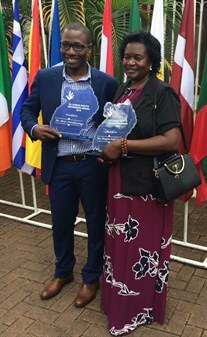 The award is in recognition of the achievements of an individual Human Rights Defender in documenting human rights violations, seeking remedies for victims of human rights violations, combating the culture of impunity, mainstreaming a human rights culture, and advocating for the respect of human rights. Margaret’s work as Director of Uganda Landmine Survivors Association (ULSA), as Commissioner to the Interfaith Action for Peace in Africa (IFAPA) coalition, as board member of Uganda’s National Council for Disability (NCD), and as a partner to the Uganda Mine Action Center has led to today’s honor by the EU. Margaret began her work by providing peer support to victims of conflict at local hospitals after narrowly surviving an ambush on her bus in Northern Uganda in 1998, due to which she lost a leg. In 2000, she felt that as a survivor herself, the best way to give back to the thousands of other survivors would be to advocate on their behalf, and she became an ambassador with the ICBL. Ever since, she has lobbied vigorously for persons with disabilities at international, regional, and national levels, and in 2014 was selected as a Woman PeaceMaker by the prestigious Joan B. Kroc Institute for Peace and Justice at the University of San Diego. We at the ICBL-CMC would like to thank Margaret for all her work and persistence in the face of adversity, and offer her our heartfelt congratulations on receiving this prestigious honor! Thank you Margaret. You inspire us all to do better. Every World Cup tournament inspires young people worldwide to be the soccer players/ footballers of tomorrow. Yet for those living in cluster munition, landmine and UXO contaminated countries, this dream remains a difficult reality. A cluster munition, also known as a cluster bomb, is a weapon containing multiple explosive submunitions. Like landmines, these submunitions can remain a fatal threat to anyone in the area long after a conflict ends. Cluster munitions are dropped from aircraft or fired from the ground or sea, opening up in mid-air to release tens or hundreds of submunitions, which can saturate an area up to the size of several football fields. Anybody within the strike area of the cluster munition, be they military or civilian, is very likely to be killed or seriously injured. The fuze of each submunition is generally activated as it falls so that it will explode above or on the ground. But often large numbers of the submunitions fail to work as designed, and instead land on the ground without exploding, where they remain as very dangerous. Cluster bombs are designed as anti‐personnel, anti‐armor weapons, but the primary victims have been innocent civilians. More than 95% of known cluster bomb victims are civilians and 40 percent are children, who are drawn to the small, toy‐like metal objects. Cluster bomb casings release hundreds of bomblets—the size of a soup can or orange—over wide areas, frequently missing intended military targets and killing nearby civilians. Commonly used cluster bombs are designed to explode into hundreds of pieces of razor‐sharp shrapnel that rip through bodies. “We call for fair play, on the field of sport, and in the field of disarmament,” said Gabriel Silva, Coordinator of the Brazilian Campaign against Landmines and Cluster Munitions. “While the majority of the world’s governments have banned this weapon and disassociated itself from it, many continue to put profits ahead of civilian lives.” A soccer player from Laos, 19-year-old Mini Phanthavong, lives in an area that is heavily contaminated with cluster munition remnants. For Mini and his football friends, kicking the ball off the football pitch could be lethal. “When we kick the ball into a bush or the forest lawn, we have to go out of the playing field to collect the ball,” says Mini, “with every step that I walk outside of the marked pathway, I am always concerned and scared.” Every country in the world, including the United States, can and should join the CONVENTION ON CLUSTER MUNITIONS and THE MINE BAN TREATY. To accomplish that, we need you! Your voice is needed… JOIN WVCBL/PSALM AND CONTACT your elected officials (https://www.usa.gov/elected-officials) and let them know we aren’t going to win a war or defend our country with a weapon that kills civilians, especially children. It is a question of political will and of prioritizing the protection of civilians over using outdated and indiscriminate weapons.